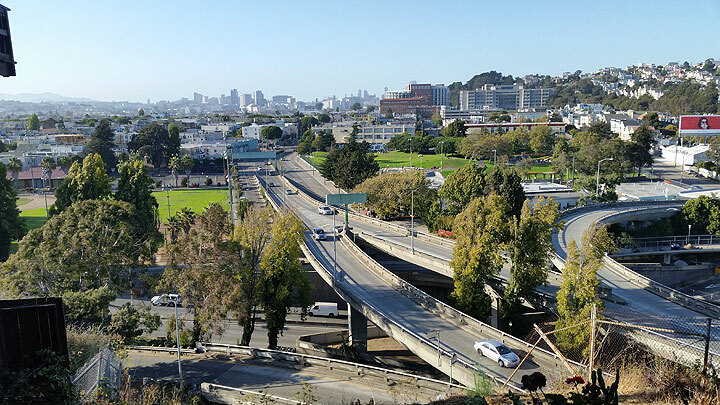 Similar view from top of steps on Holladay on Bernal looking north, Sept. 4, 2016. 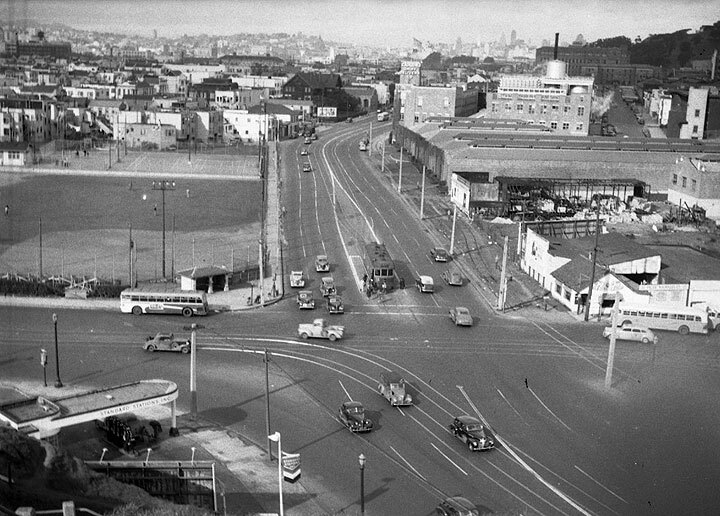 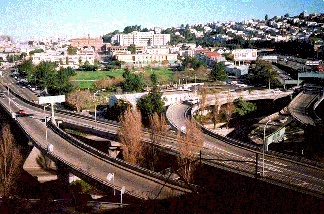 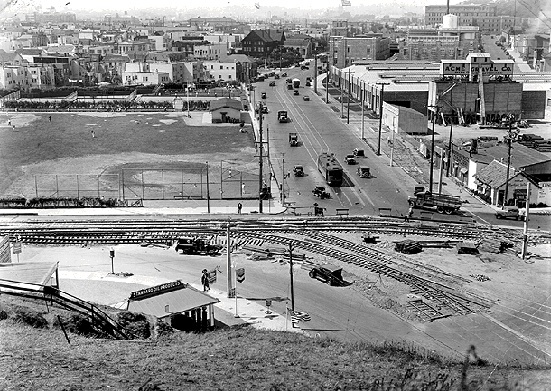 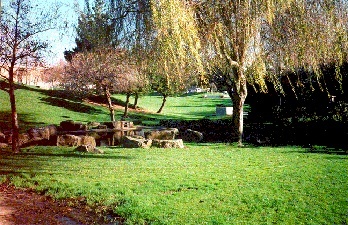 Views of the Army Street freeway interchange, which from 1974 to 1987 was the site of the community collective FARM. 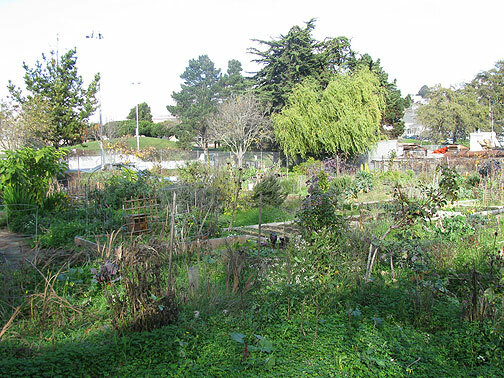 Potrero del Sol community garden at foot of Potrero and Cesar Chavez, adjacent to La Raza Park. 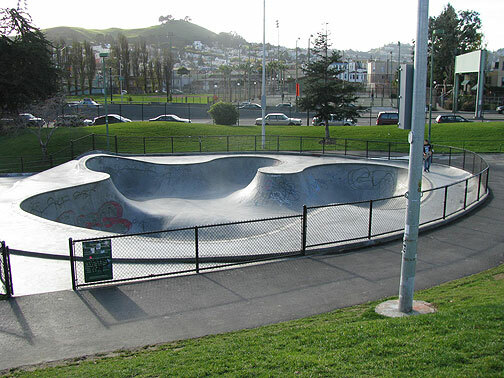 New skate park put into La Raza Park in 2008, Bernal Heights looming in distant background.